I am so happy that I got to play along with a couple of challenges on splitcoaststampers today. The free 4 all challenge was a valentines challenge and the mixability challenge was to use hearts. I managed to cover them both using my Tim Holtz new hearts stencil and some embossing paste and a sentiment from Papertrey Ink! I am seriously loving my stencils and embossing paste right now and today I used my pearlescent paste which is SO pearly and pretty. I did add 2 colors of Heidi Swapp color shine over the stencil before I removed it and it looks really pretty IRL. I also die cut some flowers out of canvas and colored them using my gelato's! So fun!! It looks like I am ahead of the game and have my valentine card for my hubby next week! Woo hoo!!! I am having fun playing in challenges again. It has been too long! Anyway, I hope you all have a wonderful weekend. 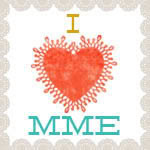 I am working tomorrow and then teaching a fun card class at Scrapdoodles on Sunday!! Wonderful card Dawn! 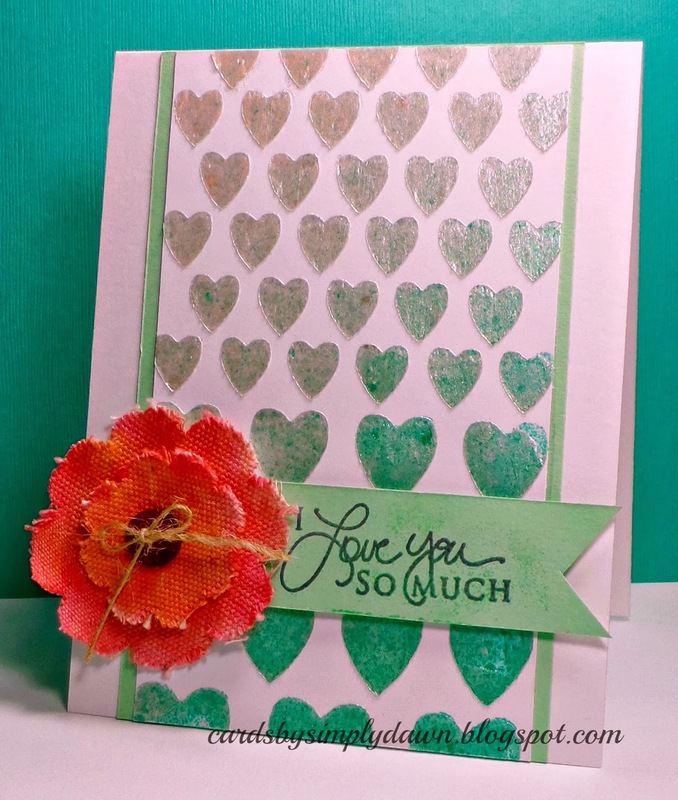 I love the look of that embossing paste and the gradient of colors. Hope you are well!